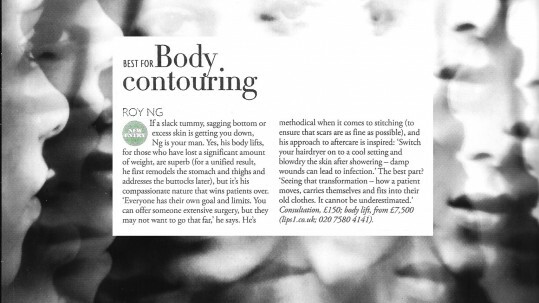 Mr Roy Ng is highly experienced and one of the UK’s most respected cosmetic and reconstructive plastic surgeons. He performs a wide range of procedures including rhinoplasty, Permalip lip implants, facial surgery, breast surgery and body contouring. His practice is based in Harley Street, central London. I will provide you with an honest and professional opinion, based upon years of training and experience. You will be encouraged to ask questions and take time to consider the information and plan of care. I do not believe in rushing through appointments. At your consultation you will be given the time that is needed to listen to your concerns and aspirations. I do not believe in rushing through appointments. 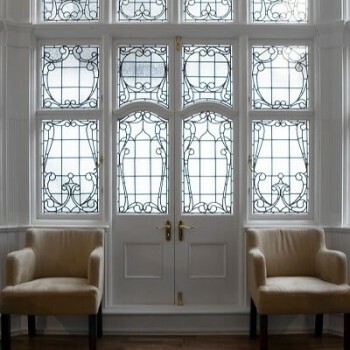 At your consultation you will be given the time that is needed to listen to your concerns and aspirations. I will provide you with an honest and professional opinion, based upon years of training and experience. An appropriate medical examination will be performed where necessary, including measurements and photography. This will form an important part of your comprehensive medical assessment.